Celebrations Value Dinosaur Friends Dinner Plates Sturdy,lunch Napkins ,loot Bags And Plastic Tablecover Party Pack For 8 With 3pk Of Party Balloons. Mermaid Shine Plastic Tablecover All Over Print 54" X 102"
Birthday Bear Plastic Tablecover All Over Print 54" X 102"
Birthday Bunny Plastic Tablecover All Over Print 54"x102"
Unicorn Plastic Tablecover 54" X 84"
Circus Carnival Plastic Tablecover 54" X 84"
Farm Party Plastic Tablecover 54" X 84"
Twinkle Twinkle Little Stars Plastic Tablecover 54" X 84"
Harry Potter Plastic Tablecover 54" X 84"
Building Blocks Plastic Tablecover 54" X 84"
Pink Princess & Unicorn Plastic Tablecover 54" X 84"
Animal Jungle Plastic Tablecover 54" X 84"
Shark Party Plastic Tablecover 54" X 84"
Confetti Cake Happy Birthday Plastic Tablecover 54" X 84"
Glitzy Gold Happy Birthday Foil Plastic Tablecover 54" X 84"
Rainbow Ribbons Happy Birthday Plastic Tablecover 54" X 84"
Glittering Birthday Foil Plastic Tablecover 54" X 84"
Golden Happy Birthday Plastic Tablecover 54" X 84"
Glittering Birthday Foil Plastic Flag Banner 12 Ft. 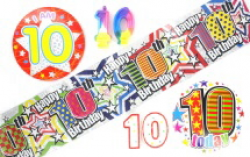 Glittering Birthday Foil Foil Banner 12 Ft.
Rainbow Polka Dot Happy Birthday Foil Banner 12 Ft.
Rainbow Polka Dot Happy Birthday Foil Balloon 18"